One of the biggest problems college students run into is learning how to manage time wisely. Once you’re knee deep in the semester, you begin to feel like somewhat of a sinking ship. You make an effort to throw as much of the water out as possible before the entire ship goes under, but the water comes in too quickly for you and you suddenly feel completely overwhelmed and helpless. I think every college student can relate to that feeling at some point or another. For me, I can easily recall having three papers and four exams all in the span of five days. Not only did my brain feel like it was going to turn to jelly, but I also felt myself becoming more anxious and stressed because there didn’t seem to be enough time in the day to get everything done that I needed to. That’s why I want to offer some solutions to help college students with their time management problems. 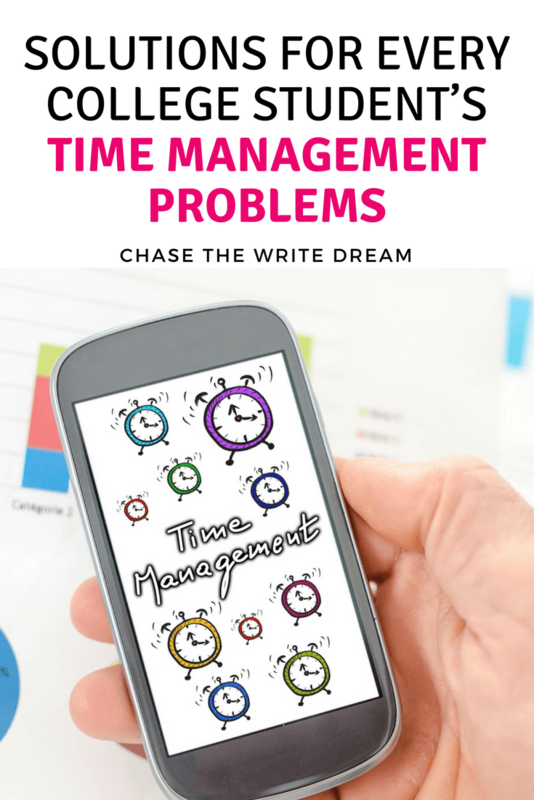 I’m going to be honest – I can’t make them go away completely, and yes you’re still going to have those moments when you question whether you’re really going to be able to get everything done or not, but I promise that these tips will help alleviate some of your time management problems if you follow them regularly. This one is difficult for college students to master right off the bat, but once you understand how class registration works, then you’ll better be able to plan your schedule. For me, I made it so that I had a break between at least one set of classes during the day so that I could study. Since I didn’t have anything else to do at that time, I pretty much forced myself to get into the habit of using that hour as a study period. It definitely paid off! For those of you who want to be an active part of your college community, you’ll want to schedule your classes so that you have time before your meetings/events so that you can eat, study, and get a little socializing in. I’ve found that when you pile too many things on top of each other, you begin to very easily become overwhelmed and that doesn’t make for a fun or successful college experience. Mondays I had step team meetings at 7:30 p.m., so I scheduled my classes to end by no later than 4 p.m. that day. I also tried to include a break in-between two of my classes so that I could study during the day rather than stay up late after my step team meeting. I typically ate around 4:30 these days because I wanted to have time to go to my dorm and drop things off before heading to the dining hall. I ate for about 30 minutes, then headed back to my dorm to study for an hour to an hour and a half before getting ready to head out the door so that I could socialize with some friends before the meeting started. I know that sometimes you will only have one class option and it may be scheduled at a time that isn’t convenient for you, and that’s where you have to learn to be flexible. For these semesters, find the time where you would have originally wanted that class and use it as your study time or social time instead. You’re essentially just swapping the two activities (and thus keeping your time management practices in tact). One of the easiest solutions for every college student’s time management problems is to wake up just 15 to 30 minutes earlier every morning. I know that college students like their sleep, but sometimes you just need to force yourself to incorporate this extra time in the day so that you can get everything accomplished. If you’re more of a night owl, you could always add the minutes to the end of your day. I just don’t recommend pulling an all-nighter because your brain will definitely feel dead the next day without any sleep. I really like this iHome Bluetooth Color Changing Alarm Clock because it is so much more than just a clock. You can charge your phone, use it to answer calls, and so much more! One of my peers actually introduced me to this idea and I can’t believe how much it actually made sense! Now, I’m not expecting you to do this every day because I don’t blame you for wanting a nice relaxing shower every now and then, but you should definitely consider doing this if you have a big test coming up or you are struggling to memorize some important facts. You are giving yourself 10-15 minutes (unless you’re a shower hog… I’m not judging if you are) extra study time when you do this! This laminator is very cost-effective (less than $20!) and would be a great thing to have on-hand in college. I don’t think college students realize how much more study time they can actually incorporate into their schedules. Part of figuring out how to manage your time effectively means being creative… I’m talking using every last second that you have a free hand to pick up your notes and put your brain to work! Waiting for the microwave – Because every second counts people! Now it’s your turn to think of some situations where you can take advantage of the time and add in some studying! I’ve presented a list of very easy solutions that every college student could implement to help manage their time more effectively. You’re the one that has to put this all in place and stick to it. I know you’re feeling overwhelmed and that there’s a lot on your plate, but I also know that you are fully capable of figuring it all out. Remember, it’s ok to take some time for yourself and not do anything. Sometimes we need that to get our heads back on straight! 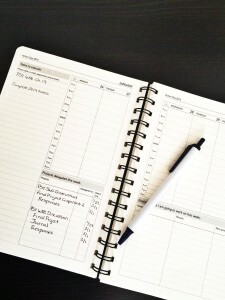 I have a new ecourse called Stress-Free Scheduling that is all about being more productive and managing your time wisely. Not only will you receive numerous lessons, but there are also worksheets, videos, and a community for you to chat one-on-one with me, as well as in a group with your peers. You can learn more here! I am a commuter student and I ride the bus to and from school. I get rather car-sick if I try to read or study in moving vehicles, so I found that downloading my textbooks as audiobooks on my phone makes for a great way to keep studying when I’m on the bus or walking home from the bus stop. LOVE this idea, Jodi! Thank you so much for sharing 🙂 I had some friends who did this and it helped them out a lot. Definitely a great way to use that extra time during the commute. I take the bus and train every day and I usually use this time (in the morning or if I’m not too tired in the afternoon) to do homework. This year for an elective I took macrame and I’m planning on using this time, which is minimum 2 hrs daily doing the macrame projects. That’s 10 hours a week minimum. That is such a great example of utilizing your time! It’s amazing how much we can get done in those so called “down” moments. I’m a freshman this year, and first semester I discovered that the “down” time when I was waiting on my laundry was perfect for studying! Often I was the only one in the laundry room for my dorm, and the shelf for folding clothes was perfect for sitting on. The white noise from the machines really helped me focus. Every spare minute counts! Love this, Nicole! I remember doing the same thing sometimes when I had laundry to do. It was a great way for me to get out of the dorm room and be somewhere else as well. Thanks so much for sharing! I never thought of laminating my notes and studying in the shower. I think if you really love showers and want to relax but get your studying in, it’s perfect. Time management is so so so important in college. It releases some of the stress on a student. It gives a student time to do everything and not feel pressured or rushed. You’re stress-free scheduling course is a smart idea to assist students who don’t know how to time manage. I feel as if this is the biggest issue in college, especially at my University and these tips are super helpful.